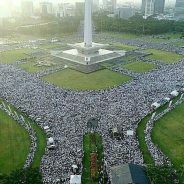 Last Saturday (2nd of December) saw Muslims in Indonesia stage a massive protest in Monas, Jakarta. Estimates have ranged from 500,000 (local news reports) up to 7 million (from the organisers) gathering at the National Monument, Merdeka Square, Central Jakarta. 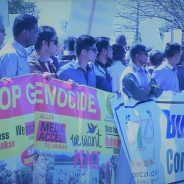 On Sunday the 17th of September 2017 a community protest was held in Sydney, Australia in response to the current horrific violence inflicted upon the Rohingya Muslims of Myanmar. Hundreds attended the protest the community stand that saw the large crowd addressed by different community personalities and representatives of numerous community organisations. The addresses of the speakers through the event were strong and unequivocal both in their condemnation of the atrocities committed by the Myanmar government and in their support of our Rohingya brothers and sisters. 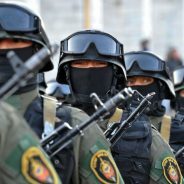 Security services in Tatarstan and Bashkiria (Russia) recently carried out massive raids and arrests targeting Hizb ut-Tahrir activists in Kazan, Sibai and Bayamak on the 6th and 7th June. 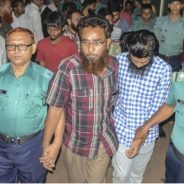 More than 20 raids and arrests were carried out, with little to no media attention given to these dramatic incidents. On Friday the 23rd of June 2017, the “Anti-Terrorist Division” of the Turkish security forces stormed the house of Yilmaz Celik. The raid occurred as Celik, a prominent member of Hizb ut-Tahrir Turkey, gathered with some brothers to break their Ramadan fasts together. 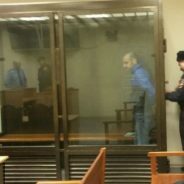 He was arrested and immediately taken away. Despite its appeals to Islamic sentiments, this continues a troubling trend of Recep Tayyip Erdoğan’s Justice and Development Party (AKP) as they once again move against those who call for Islamic change. All of this occurred in the last ten days of the blessed month of Ramadan, as Turkish judicial authorities also ratified two judicial decisions that result in 15 years imprisonment. 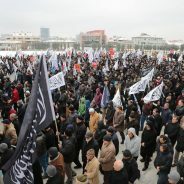 Hizb ut-Tahrir in Turkey was to hold a major conference in Istanbul on Sunday the 5th of March to mark the anniversary of the Khilafah’s destruction. 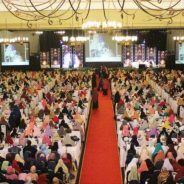 The theme of the conference was “Why the World is in Need of the Khilafah”. 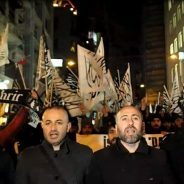 Yesterday, Turkish authorities announced that they would not allow the conference to go ahead and arrested the Media Spokesman, brother Mahmut Kar as well as brother Osman Yildiz also a member of the Media Office of Hizb ut-Tahrir in Turkey.